Michael Bay Thinks 'Bad Boys 3' Should "Get Going Soon"
Though he's not involved, he has an opinion to share. With Will Smith and Martin Lawrence fronting the franchise, 'Bad Boys' was a huge success for Sony Pictures upon its initial release in 1995. 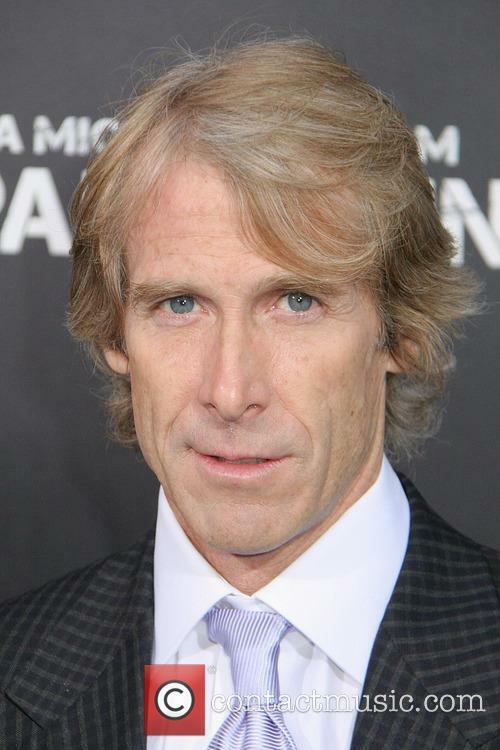 Along with cementing the actors' names in Hollywood, it helped make a name for the film's director Michael Bay, who had spent his years making music videos before the original flick's release. Also working on the sequel in 2003, he told the story of Smith and Lawrence's Miami narcotics detective characters, which audiences immediately fell in love with. Unfortunately for Bay, the success that Lawrence and in particular Smith saw following the films meant that they were hard to pin down for any more movies. 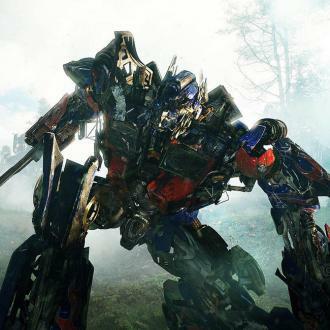 Continue reading: Michael Bay Thinks 'Bad Boys 3' Should "Get Going Soon"
As anticipation for Michael Bay’s latest Transformers mega-popcorn super movie reaches new heights, a new trailer featuring heavy emphasis on all-out Transformer v Decepticons with thrown in dinobots warfare. But as the trailer warns us: “This isn’t war – it’s human extinction”. Mark Wahlberg, Kelsey Grammer, Stanley Tucci, TJ Miller, Sophia Myles and up-and-coming Irish actor Jack Reynor all star in a new cast marking a fresh new direction for the film. Following the destruction caused by Optimus Prime's benign Autobots and, their nemeses, the evil Decepticons led by Megatron, the US government have decided to sever ties with the Autobots in a bid to reclaim their crumbling world. After a while, it seemed that they had indeed disappeared completely but Cade Yeager, a struggling inventor who is desperate to put his daughter Tessa through college, is about to make a discovery that would change his life forever when he uncovers the unusual metal properties of the new vehicle he has bought. It isn't long before the government and the Decepticons are swooping in on Cade's home, demanding to know where he is hiding Optimus Prime; America wants to destroy the living machines despite the Autobots past help, and the Decepticons simply want to destroy everything. If the humans want to survive, their old friends may be their only hope. It's been four years since the disastrous conflict between the benevolent Autobots, led by Optimus Prime, and the evil Decepticons, led by Megatron. Now, it appears that the US government is no longer willing to work alongside the Autobots and instead long for Earth to be reclaimed by mankind. Cade Yeager is an inventor who is struggling to find the money to get his daughter Tessa through college, but he's about to make the breakthrough of a lifetime when he discovers that a vehicle he has newly purchased is made from no ordinary metal. 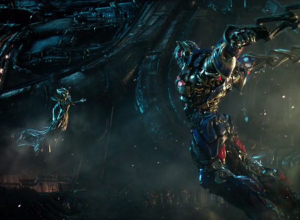 On realising that he is housing Optimus Prime in his workshop, the government and the Decepticons are quick to attack, though when it becomes clear that Megatron is still hellbent on taken over Earth, he must band together with Optimus to save themselves and everybody else on the planet from total extinction. This might just be Bay's most explosive production yet. Literally. More explosions than ever. Shia LaBeouf may have been replaced from the Transformers franchise, but all that matters is that Michael Bay is staying, as he reminded us with the flashiest, most-explotion filled trailer of forever. 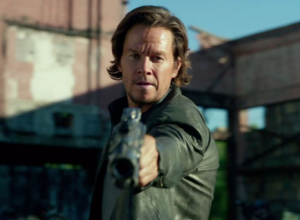 The new installment, now starring Mark Wahlberg, has a trailer as of yesterday and in case viewers ever miss the hint of a coherent story that Bay’s flicks have been lacking from the beginning, there are a lot of explosions and loud music to distract them from those shortcomings. 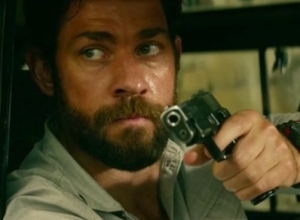 It seems like Michael Bay got almost free reign with the budget on his final installment. Written by Ehren Kruger and directed by Bay, the new film sees Mark Wahlberg, playing a mechanic named Cade Yeagar, join the series about warring tribes of alien robots with a propensity for causing massive destruction here on planet Earth. To be fair, it’s only a teaser trailer, so there is plenty of time to reveal more of the story. 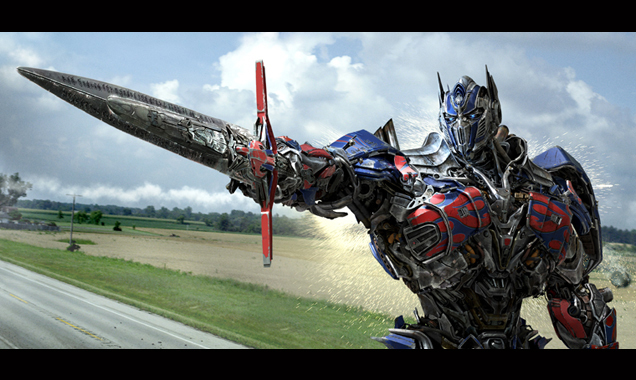 The two men played loud music in an attempt to disrupt the Transformers 4 shoot in Hong Kong. 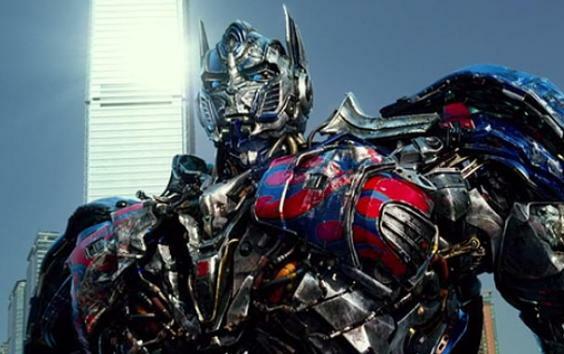 A man has been jailed for attempting to blackmail the Transformers 4 film crew while they were shooting scenes in Hong Kong. Mak Chi-shing was sentenced to two years in jail and his brothers six weeks for assaulting a police officer, according to BBC News. The men ran a shop near where the crew were filming in October. They refused to close the store to accommodate the crew and demanded $13,000. 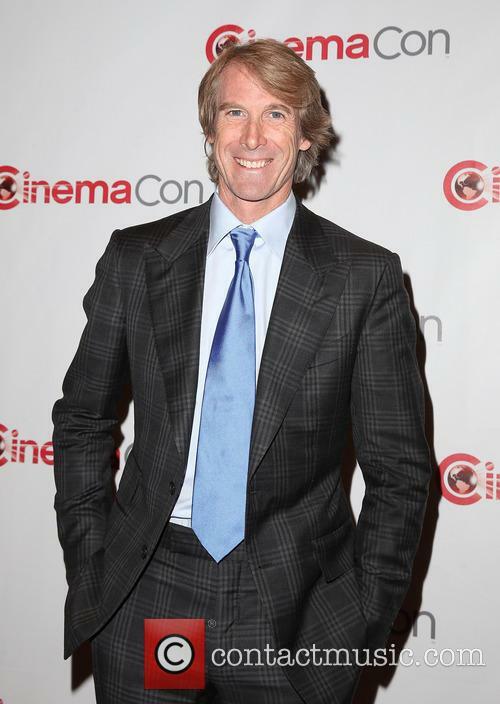 Michael Bay found himself in a very uncomfortable situation as he walked off stage a Samsung CES event after there were technical issues with the teleprompter, the film-maker admits, "I guess live shows aren't my thing." 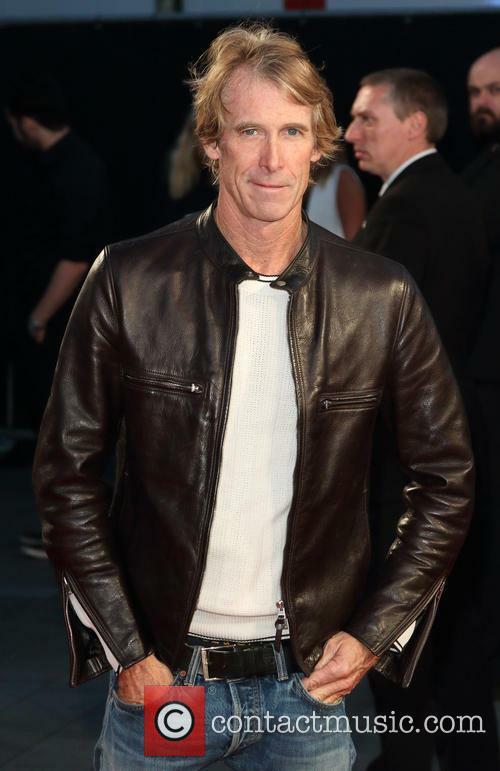 Director Michael Bay appeared very awkward and uneasy during an appearance at a Samsung CES event in Las Vegas on Monday afternoon (Jan 6th). The 48 year-old was left speechless shortly after entering the stage when he was trying to discuss why he makes big blockbuster movies. Bay even pointed out, in front of the live audience, that the teleprompter was not working properly which led him to say 'I'll just wing this." 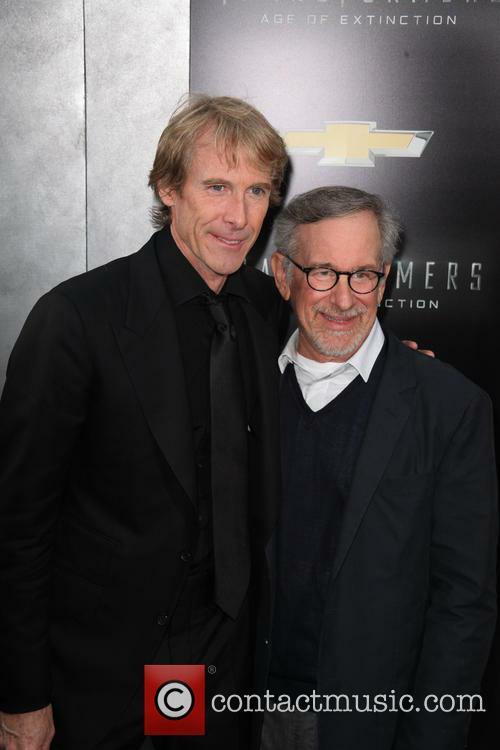 Michael Bay was attacked by two men asking for money on the Hong Kong set of 'Transformers: Age Of Extinction'. 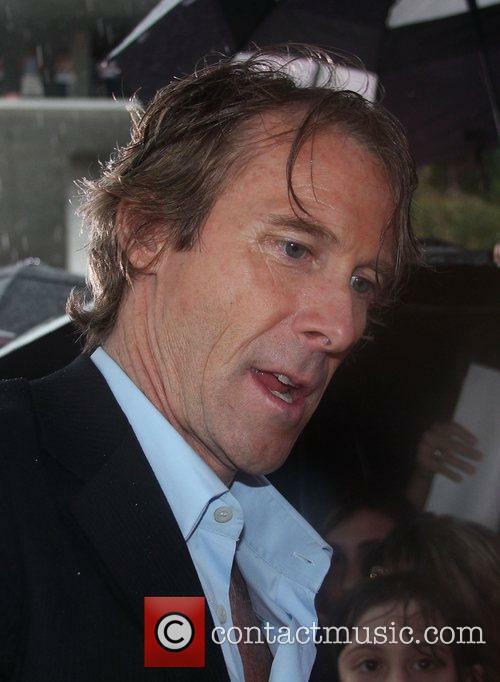 American director Michael Bay, was attacked by two men on the set of 'Transformers: The Age Of Extinction' in Hong Kong on Thursday (Oct 17th). One of the men attacked Bay with an air conditioner after asking him for money, the studio released a statement describing the incident as "a bizarre encounter with a man allegedly under the influence of a narcotic substance". The statement also said, "The man, who had earlier accosted several other crew members, rushed onto the set in Quarry Bay and swung the air conditioning unit directly at Bay's head." Spirited and very funny, this movie should actually be rather disturbing since it's a true story about torture and murder. 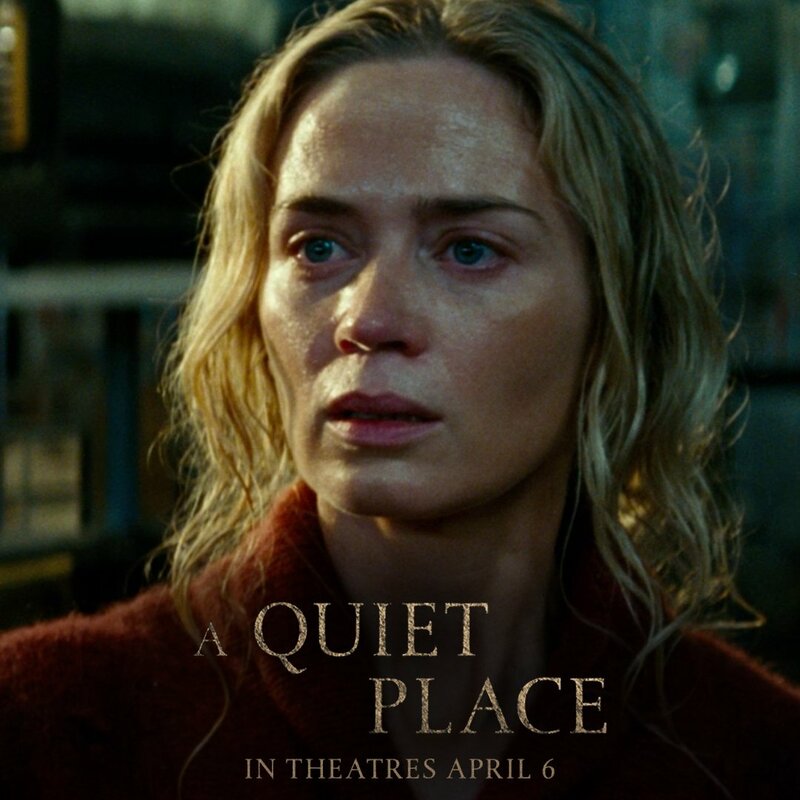 But director Michael Bay is so slick with the action and comedy elements that he lulls audiences to sleep, entertaining us with events that really should send chills down our spines. 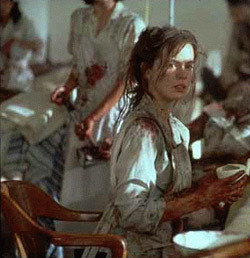 So the movie feels rather tasteless when you begin to think about it. Wahlberg stars as Daniel, an obsessive bodybuilder in 1990s Miami who works as a personal trainer at a local gym. But he's becoming increasingly annoyed by the fact that his clients are much wealthier than he is. So he convinces his steroid-addicted colleague Adrian (Mackie) to help him kidnap a customer (Shalhoub) and steal his fortune. Realising that they need some help, they enlist born-again ex-con Paul (Johnson) in their plan. But none of them is very smart, and the kidnapping goes badly wrong from the start. Still, they manage to steal quite a lot before a tenacious private detective (Harris) notices something isn't right. For a story that deals with such intensely serious themes, this is an oddly broad comedy. Bay never even tries to find dark irony here; he just focusses on how stupid these criminals are, convinced that they are as cool as the characters from their favourite movies and eerily unbothered by the fact that they are inflicting pain and even death on people for their own greedy ends. The actors inhabit the roles with a disarming naivete, so we can't help but laugh at their idiotic actions. Wahlberg plays Daniel as a muscle-head so focussed on getting what he wants that he doesn't notice the carnage in his wake; Mackie at least gives Adrian a sense of self-doubt, plus some comical romance (with scene-stealer Wilson); and Johnson has a tricky role as a religious guy with a weakness for drugs and women. 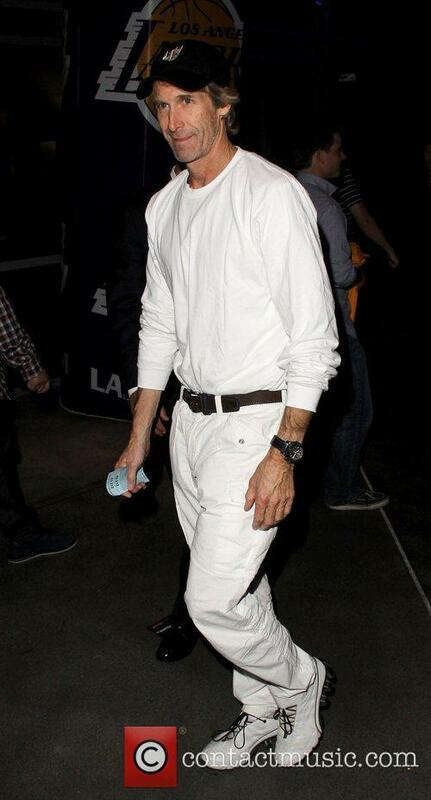 Will Arnett's G.O.B. Bluth is one of the integral character's in the recently revived cult comedy series Arrested Development, and any further AD episodes would be truly lacking something is the half-witted eldest sibling of the Bluth clan didn't make a return to any further continuation of the series. Should the show be picked up for any further episodes by Netflix, as far as Will is concerned he'd be more the ready to slip into his magician's hat again and further commit himself to the show. During a discussion for his upcoming CBS comedy The Millers, the comic actor discussed his new projects in detail, but couldn't escape the questions surrounding the newly returned Arrested Development. As quoted by AccessHollywood.com, Arnett discussed the show's fourth season, which was met with a mixed response when released earlier this summer, when he was quizzed about the possibility of more episodes. 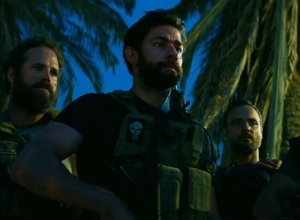 “It’s something that everybody’s open to,” Arnett teased, not willing to give too much away about the proposed fifth season - which is reported being discussed by Netflix bosses and AD creator Mitch Hurwitz. Despite his fall from grace, the filmmaker has been defended by a number of his colleagues. Jerry Bruckheimer’s future at Disney, which seemed secure after his massive success with the Pirates of the Caribbean franchise, is now hanging in the balance. Because of the massive flop of a movie that was The Lone Ranger – the movie earned $48.9 domestically over the holiday weekend, after costing over $250 million to make – the director is facing a renegotiation of his contract, according to The Hollywood Reporter. 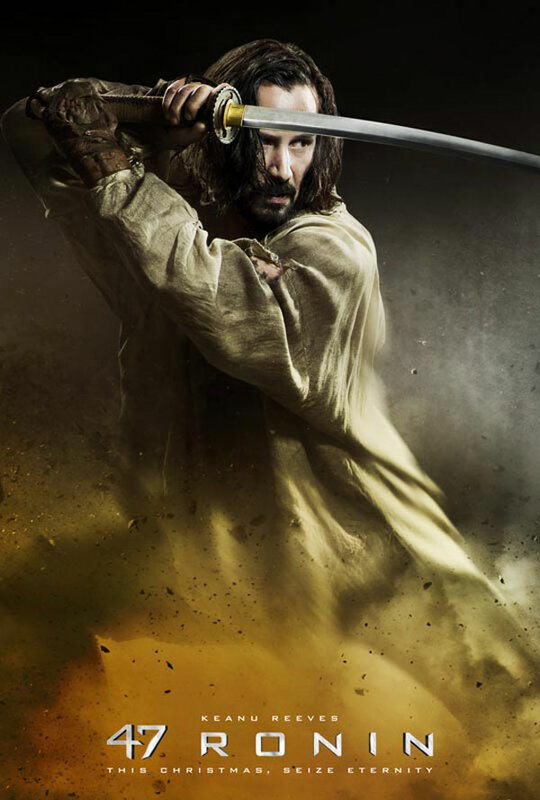 The website reports that this renegotiation could lead to a drastic cut of the producer’s fee for the upcoming Pirates 5, if not to him eventually leaving the studio. Bruckheimer's career boasts many indisputable successes. The studio’s claim seems to be that Bruckheimer should have had a firmer grip on Lone Ranger director Gore Verbinski’s spending. The beautiful vistas of the American West, which are one of the film’s main selling points – were filmed entirely on location. This accounts for a large chunk of the budget, of course. 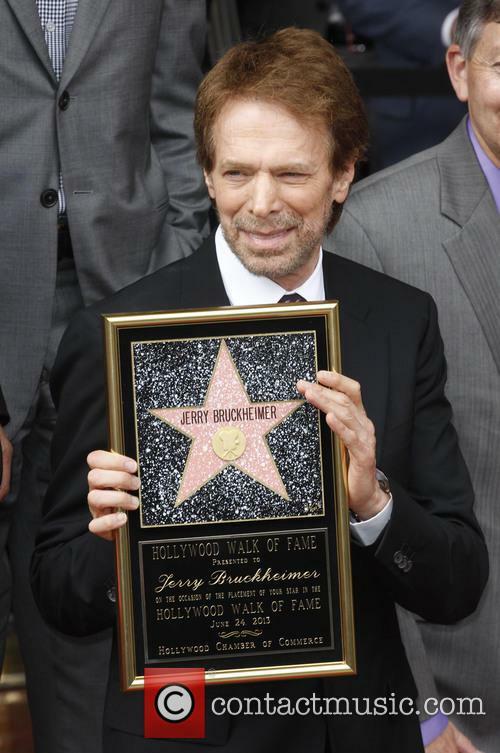 However, prominent Hollywood directors, producers and industry insiders have stepped up to defend Bruckheimer’s work. 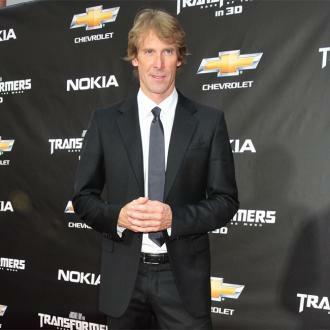 Can Michael Bay regain some of his reputation with Transformers 4? American comedian T.J. Miller is joining Mark Wahlberg in Michael Bay's Transformers 4, according to industry website The Wrap. The Paramount movie reboots the live-action cast of the franchise, with Wahlberg and Nicola Peltz taking the reins from Shia LaBeouf, Megan Fox and Rosie Huntington-Whitely. Miller will play a blue-collar mechanic who is a long-time friend of Wahlberg's character. 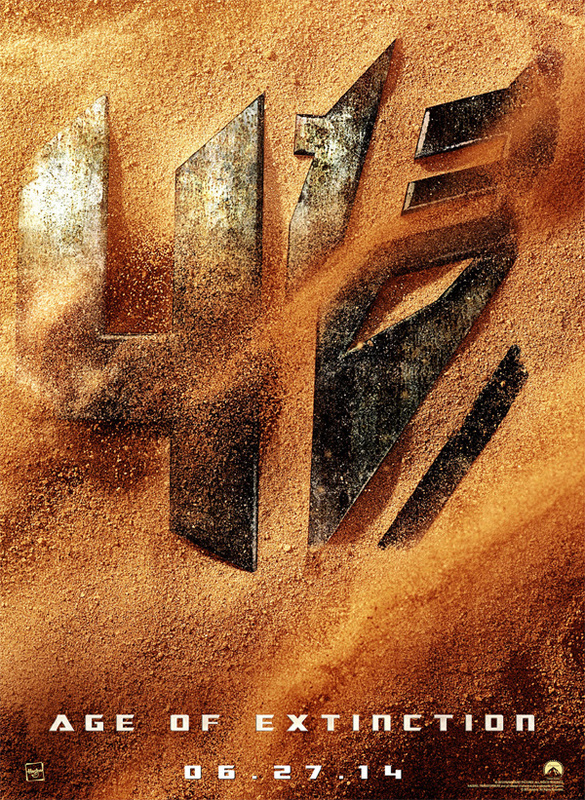 The Transformers franchise has been a bit of a joke for a couple of movies now, though Paramount and Michael Bay appear to be making every effort to make the fourth instalment a true return to form. We certainly admire the unusual casting decisions, including the recent acquisition of Kelsey Grammar to play the villain. Miller is currently shooting Universal and Gold Circle's comedy Search Party and is probably best known for his movies Yogi Bear and She's Out Of My League. The changes are many and they are big - but it's still the same Transformers, says Bay. 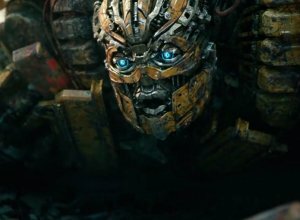 Brace yourselves, the Transformers are coming – and with a complete cast overhaul apparently, as Mark Wahlberg, T.J. Miller and newcomers Nicola Peltz and Jack Reynor are all joining the party/giant robot face-off in place of Shia LaBeouf, Megan Fox, Rosie Huntington-Whitely and co.. There are also changes in the production team, with Ehren Kruger having written the script and Lorenzo di Bonaventura producing with Ian Bryce, Tom DeSanto and Don Murphy, The Wrap reports. But after what seemed like the end of the franchise, Michael Bay will need more than a revamped cast list to get everyone excited for this. Cue the giant robots. The big deal and what most of us go to theatre to see are, of course, the transformers and the studio knows it. That’s probably why photos of two brand new Autobots (well, in car form anyway) have been leaked online to create some hype around the project. The first is a 1,200-horsepower Bugatti Grand Sport Vitesse, which sources have pegged as the Autobot swordsman Drift. The other is a C7 Corvette Stingray that is most likely the Autobot Slingshot, according to MTV. Clearly, Bay isn’t planning on letting go of the formula, which has served him so well in the past – namely, beautiful actors, a healthy dose of CGI and lots and lots of explosions. And, let’s be honest, nobody can complain about that. Despite all of the changes, Bay promises that this will not be a reboot, but a sequel to the previous trilogy. 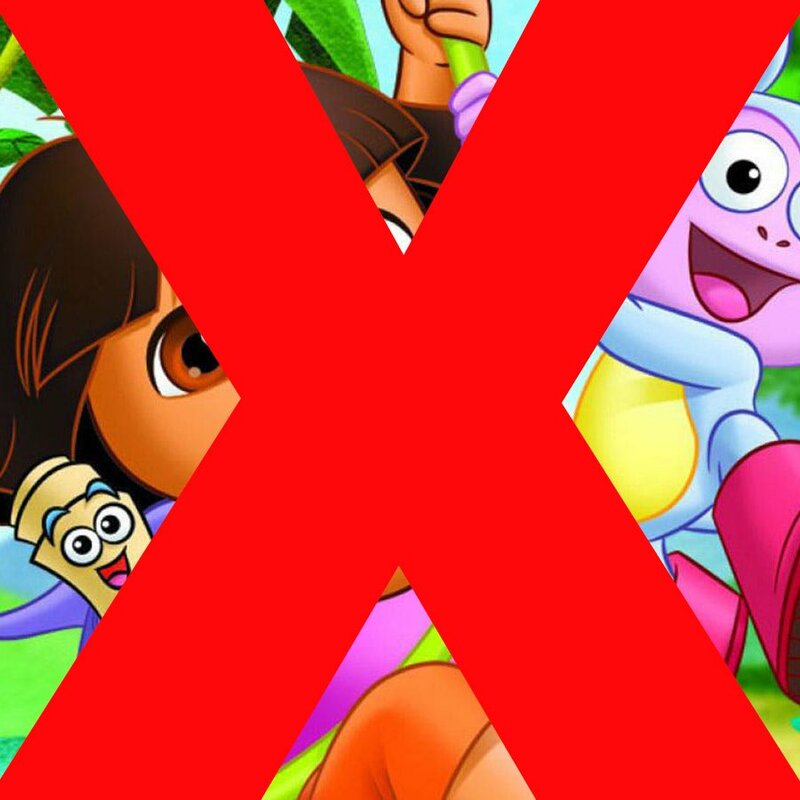 "It's not a reboot; that's maybe the wrong word," Bay told the Los Angeles Times. "I don't want to say 'reboot' because then people will think we're doing a 'Spider-Man' and starting from the beginning. We're not. We're taking the story that you've seen — the story we've told in three movies already — and we're taking it in a new direction. But we're leaving those three as the history. It all still counts." Good to know. Still, it’s mostly about the giant robots. Fox jumping on a trampoline is the first glimpse at the movie we've gotten. We know she probably hasn’t been on your mind too much lately, but Megan Fox’s trampoline studs made headlines yesterday. The Transformers starlet was caught filming a scene for her upcoming Michael Bay production, Teenage Mutant Ninja Turtles. As Fox was wearing tight clothing – a tank top and yoga pants, you can imagine how excited the fanboys got over the stills. We’ll give you a hint: very excited. For those of you who haven’t been paying close attention, here’s a quick rundown of the Fox/Bay situation. The actress starred along with Shia LaBeouf in the first two transformer movies, before being booted off for a younger, hotter actress (who had, as you may have guessed, even fewer lines in the film than Fox had had). At this point though, everything is mended between Bay and Fox and she is back to provide the mandated dose of eye candy in the flick - which, judjing from the trampoline photos, courtesy of Us Weekly, she is doing a spectacular job providing. In this new adaptation, Fox will be portraying TV reporter April O’Neil and she’ll be teaming up with actors Alan Ritchson (Raphael), Noel Fisher (Michelangelo), Jeremy Howard (Donatello), Pete Ploszek (Leonardo) and Danny Woodburn (Splinter), as well as a lot of CGI. The plot or general idea is as of yet unknown, but you can count on the fact that, in typical Michael Bay style, there will at least be lots of explosions throughout to keep you from getting bored. Kelsey Grammer will play a counter intelligence villain in Transformers 4. Is Kelsey Grammer, the actor who played the affable Frasier Crane, set out for a world of villainy? Well, he'll have to start practising pretty soon after landing the role of the lead villain in Michael Bay's fourth Transformers movie. 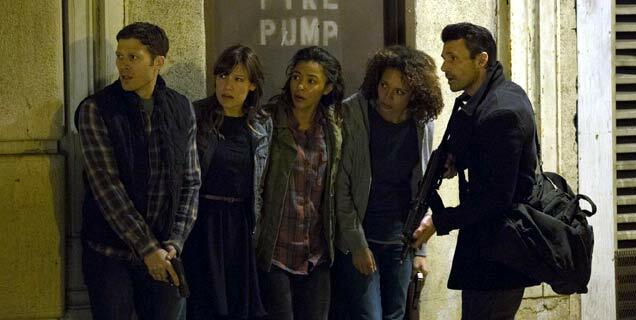 Grammer will play Harold Attinger, a counter intelligence guy, according to Deadline.com. Though known for his comedy roles, Grammer did impress as the ruthless politician in Boss, winning a Golden Globe before the series was dramatically given the chop. He also played The Beast in X-Men: The Last Stand before moving to UTA a couple of months ago in the hope of landing more feature opportunities. 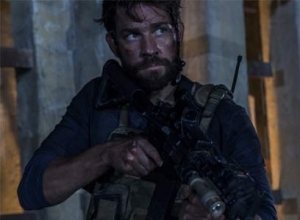 The agency has certainly delivered on their assumed promises and he lines up alongside Mark Wahlberg and Stanley Tucci in the new Transformers flick. 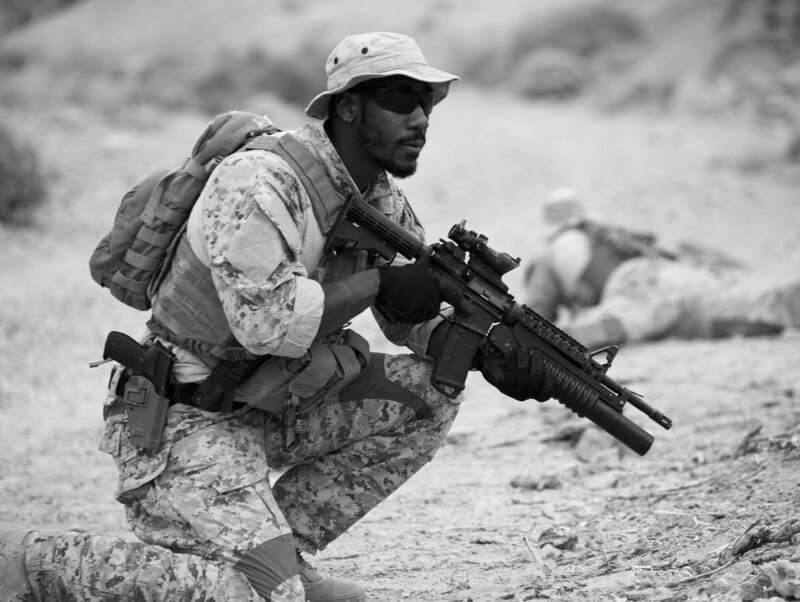 The movie begins production in July, with a script from Ehren Kruger. Lorenzo di Bonaventura, Ian Bryce, Tom DeSanta and Don Murphy are now as producers. The Last Airbender actress Nicola Peltz was cast as the lead actress in the series, following news that Rosie Huntington-Whiteley would not be returning to the franchise. Previously, Megan Fox had held the female lead in the movies, though left after a dispute with Bay. Shortly before production was scheduled to begin on the third instalment, Fox told British magazine Wonderland, "He's [Bay] like Napoleon and he wants to create this insane, infamous madman reputation," she said of Bay. "He wants to be like Hitler on his sets, and he is." Dwayne Johnson had to miss the premiere of his latest movie Pain & Gain because of a hernia operation, E! News reports. 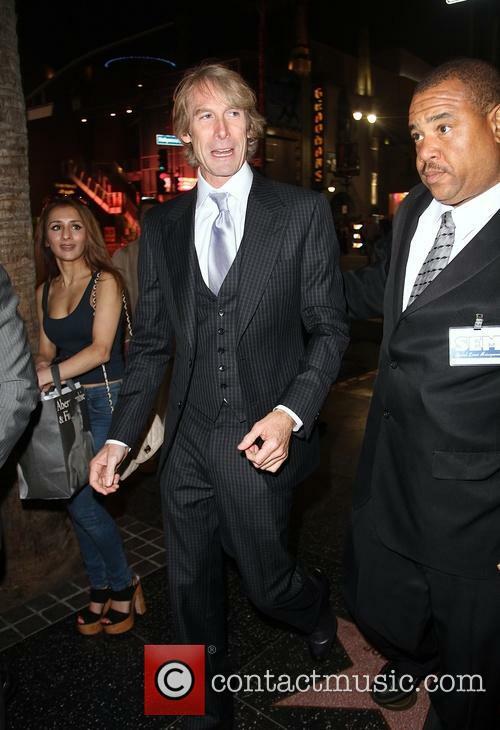 The Rock – as he is otherwise known – was notably absent from the red carpet premiere in LA last night (April 24, 2013) but the movie’s director Michael Bay was on hand to explain why. “Dwayne's hurt tonight," Bay told E! News "He was pushing it too hard. [ He] needs to grow up and stop wrestling 300-pound men." Tough love from Mr Bay, there. 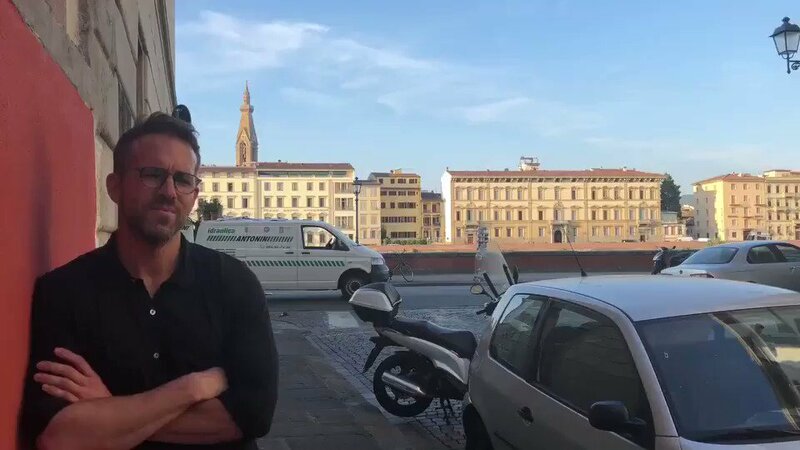 Apparently, the 40 year old actor / wrestler had to undergo an emergency hernia operation last night, taking him out of the celebrations for the movie’s release. He’s said to be resting up at home now. Johnson was hardly backwards in coming forwards when it came to sharing the details of his unfortunate wrestling-related problem, as he tweeted on Sunday (April 21, 2103) “Saw my Dr who had to push my intestines back thru the tear in my abdomen. Kinda romantic. Surgery is next week. ‪#BringItOn‬.” Ugh. 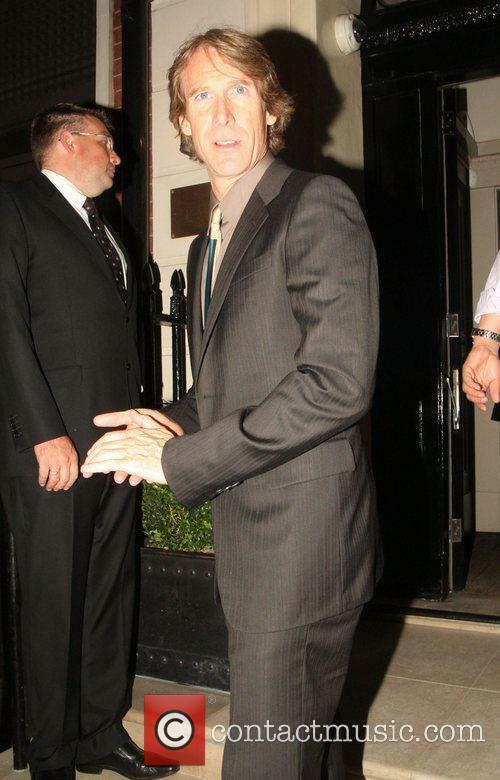 It sounds as though the surgery was a success though, as he tweeted on April 23, “Surgery a success! Dr repaired 3 hernial tears (fun pain). Superman is on the mend.. ‪#WeFallWeRise‬,” accompanied by a photo of himself in a hospital bed, wearing a Superman t-shirt and a hair net. 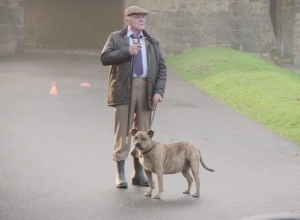 Great sartorial combo, there, Dwayne. Pain & Gain also stars Mark Wahlberg and Anthony Mackie. 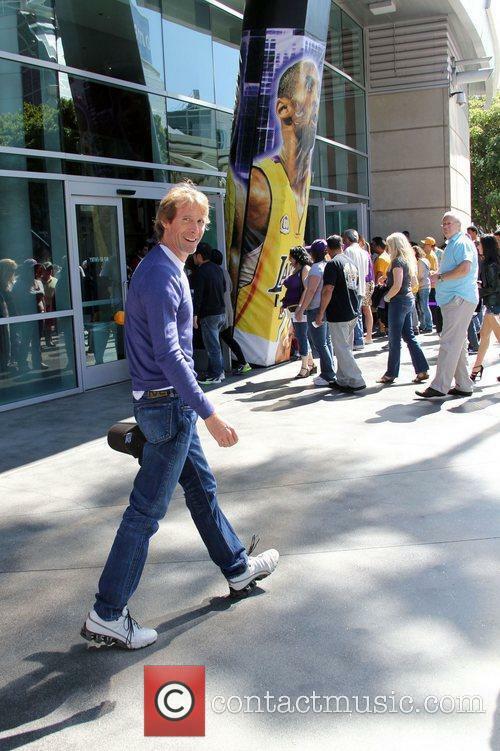 Johnson's hernia might have stopped him from attending a premiere, but hasn't affected his good mood. Everyone breathe easy, Dwayne Johnson is recovering after his hernia surgery. The wrestling star was rushed to hospital on Monday and had an emergency operation, but The Rock isn’t one to mope at all. He suffered three hernial tears while wrestling John Cena earlier this month. The debate over the “realness” of wrestling is still ongoing, but Johnson is living proof that you can get some pretty real injuries doing it. Because of the emergency, Mr Johnson had to miss the premiere of his latest flick – the pretty aptly titled, given the circumstances, Pain & Gain. The flick co-stars Mark Wahlberg and opens across theatres this Friday. 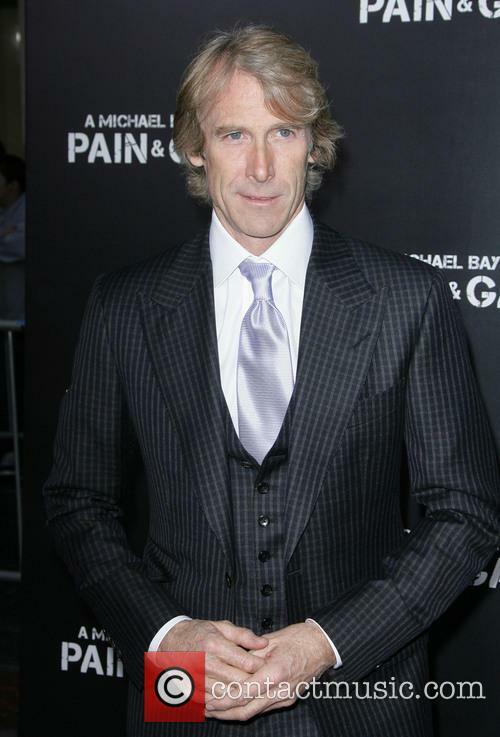 Director Michael Bay chided the wrestler for risking his health with the sport. But it looks like The Rock’s wellbeing is no longer in danger and neither is his good mood, as he tweeted a picture of himself in the hospital, flexing in his Superman T-shirt, accompanied by the caption: "Surgery a success! Dr repaired 3 hernial tears (fun pain). Superman is on the mend.. #WeFallWeRise." A bit over-confident perhaps, but that’s the recovery spirit none the less. Johnson’s publicist, Alan Nierob, revealed for The Associated press that The Rock is now anchored at home, recovering. We’re sure that with Johnson’s rock solid good spirit, the recovery will be a breeze. Judging from his attitude, Johnson will be ready to rock once again in no time. After coming out of emergency hernia surgery, actor/wrestling star Dwayne Johnson remained rock solid. Johnson posted a twitpic of himself in a Superman T-shirt in his hospital bed, accompanied by the following caption: "Surgery a success! Dr repaired 3 hernial tears (fun pain). Superman is on the mend.. #WeFallWeRise." 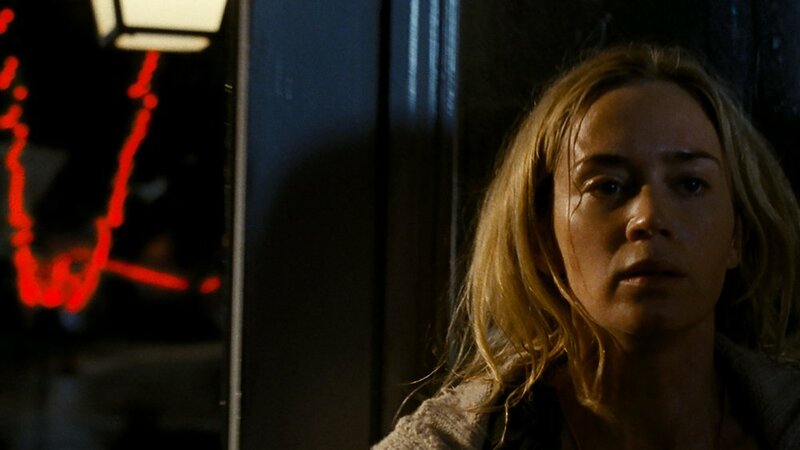 Guillermo del Toro has hit back at Michael Bay's perceived slight. 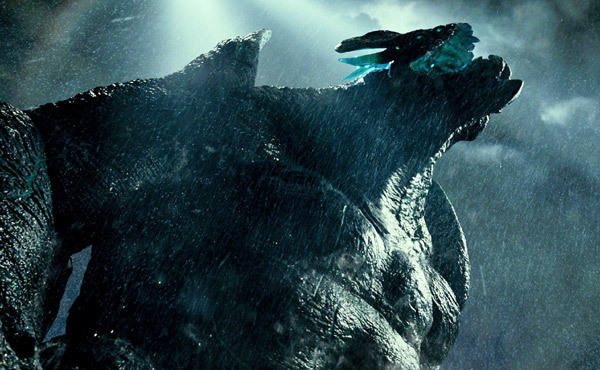 Guillermo Del Toro has hit back at Michael Bay's perceived insult about his new giant robot movie Pacific Rim. 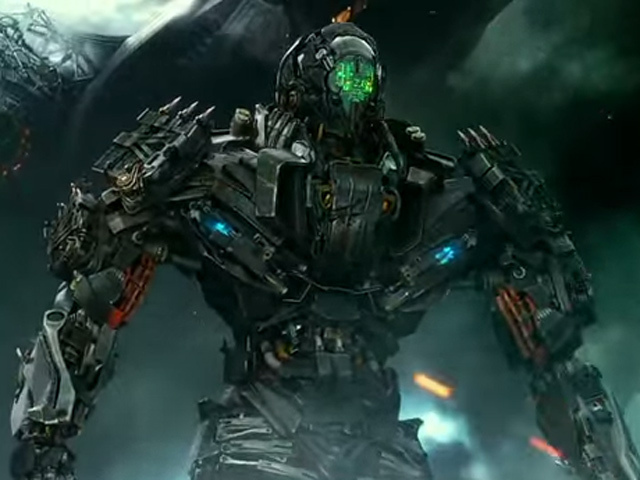 In case you haven't been following the story, Bay - the Transformers director - told audiences at CinemaCon earlier this week that there have been quite a few "rip-off" robot movies and that audiences know better. We think audiences are pretty tuned up enough to know that all of the Transformers flicks have been horrible, but that's just us. Of course Bay didn't name any titles, though many attending the session assumed he was calling out Pacific Rim. It's plausible that Battleship or Real Steel were the subject of Bay's ire, though with del Toro in town to promote his movie, it's unlikely. Anyway, when told of the director's comments by the Hollywood Reporter, del Toro responded that his movie was totally different than Transformers. "We are far, far, far away from that in a very willing fashion. For good or bad, this is my movie. This is my universe and my creation, and I do not create through comparison." And then came the dig. "The fights don't occur in well-lit, supercool, car commercial-looking environments," del Toro said, "They occur in the middle of a raging sea storm or in a savage snowstorm. They happen in a universe that is incredibly saturated." Ouch. 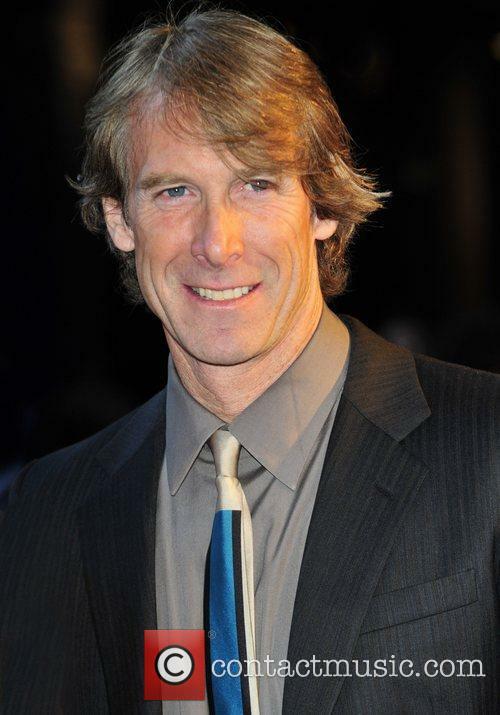 Michael Bay and Megan Fox had a highly publicised professional and personal conflict while working on the Transformers franchise. She compared Bay to Hitler and was eventually sacked, so it's a surprise move to see Fox on the same billing as Bay for a movie. However, according to the Los Angeles Times, that's precisely what's happening. Daniel Lugo is a former criminal whose passion lies in his love for fitness and bodybuilding. When he is hired at the particularly notorious Sun Gym in Florida - a place where the pressure is on to get as big as possible, and where steroids are for sale in the locker rooms - he finds enjoyment there initially before deciding that his low wage wasn't worth it and sets out to organise a criminal method of gaining fortune and fame. He teams up with part-time gym worker Adrian Doorbal and another bodybuilder and former criminal Paul Doyle to set up a plan of extortion and kidnapping against another man, Victor Kershaw, who also has a criminal past. Despite Daniel promising Paul that there would be no-one harmed in their plot to take ownership of all Kershaw's assets, things get out of hand, people end up murdered and they find themselves on the run from the police led by detective Ed Du Bois. 'Pain & Gain' is an action comedy directed by Michael Bay ('Bad Boys', 'Pearl Harbor', 'Transformers') and written by Christopher Markus and Stephen McFeely ('The Chronicles of Narnia: The Lion, the Witch and the Wardrobe'). It is based on a set of Miami New Times articles written by investigative journalist Pete Collins in 1999 about the real Daniel Lugo and Adrian Doorbal from the Sun Gym Gang who both received death sentences for their crimes. It is due to be released in the UK on May 3rd 2013. 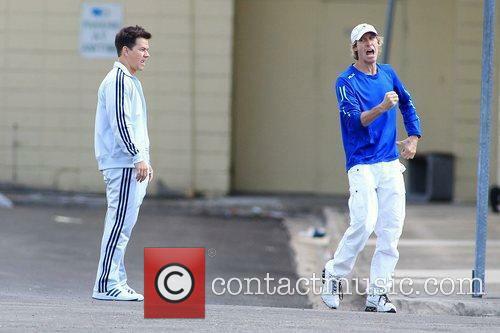 Michael Bay’s going back to what he does best with his latest movie Pain & Gain. Starring Mark Wahlberg, Dwayne Johnson (‘The Rock’) and Anthony Mackie, the movie finds the director finally unleashed from the world of Transformers and back into a world of action movies and dark humour. Pain and Gain tells the tale of a ‘gym rat’ who finds himself discontented with his life and plots to steal from a corrupt businessman, with the help of two fellow weight-lifting buddies.The trailer looks pretty neat, a fine blend of action and a sharp comic strip. 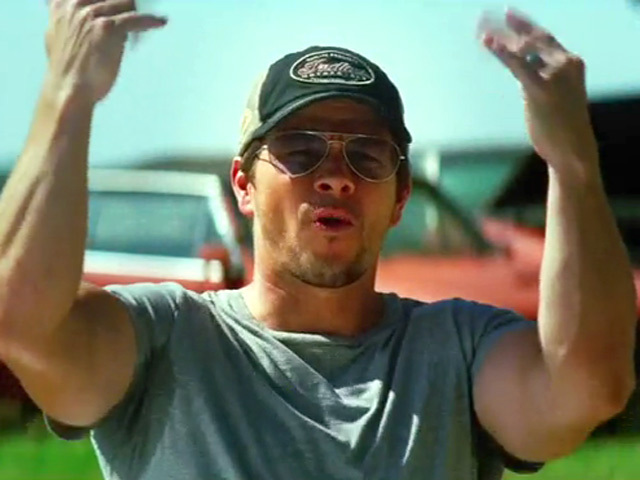 Oh and Mark Wahlberg, looking distinctly beefy in his role as Daniel Lugo, the frustrated fitness freak. Pain & Gain is based on the story of the Sun Gym Gang - three guys who “robbed and extorted their way around southern Florida in the mid-90s", according to Empire online and the script appears to have been deftly handles by the Chronicles Of Narnia’s Christopher Markus and Stephen McFeely. The story was originally reported on by the Miami New Times journalist Pete Collins, back in 1999. Now, their tale gets the big budget Hollywood treatment, courtesy of Bay. Also starring Ed Harris and Rebel Wilson, the movie is scheduled for release in April 2013 in the US and May 2013 in the UK. Prepare yourselves for a great deal of hype between now and then! When man first landed on the moon over 40 years ago, their journey was well documented and broadcast on the TV around the world, what we weren't to know was the details of a secret mission the astronauts carried out on the 'dark side of the moon'. What they discovered was beyond their belief, evidence that we're not alone in the universe. If you're going to clone someone, Scarlett Johansson is a damn good choice. But putting Scarlett in an action movie -- and dying her hair blonde? You can't be serious. I am serious. And while The Island isn't exactly a great film, the case for Johansson as action starlet has been made, handily. 3/ families who lost a car and have no insurance. Every bit counts. Everyone should just give a little.